For the first time in history, astronomers have released a photograph of a supermassive black hole. Scientists are crying over it. Gays are tweeting about it. Hot duck had its viral moment, as did the college admissions scam to end all early 2000s college admission scam flicks — but Wednesday, April 10, 2019, let it be known, is about holes. Astronomers captured the image of M87’s hole by using the Event Horizon Telescope project, described by the 200 members of The Event Horizon Telescope Collaboration as a “global very long baseline interferometry array.” In more simple terms, EHT is a connection of radio dishes across eight observatories and over 60 scientific organizations in more than 20 countries — one that essentially turns the Earth into a telescope, according to Smithsonian. 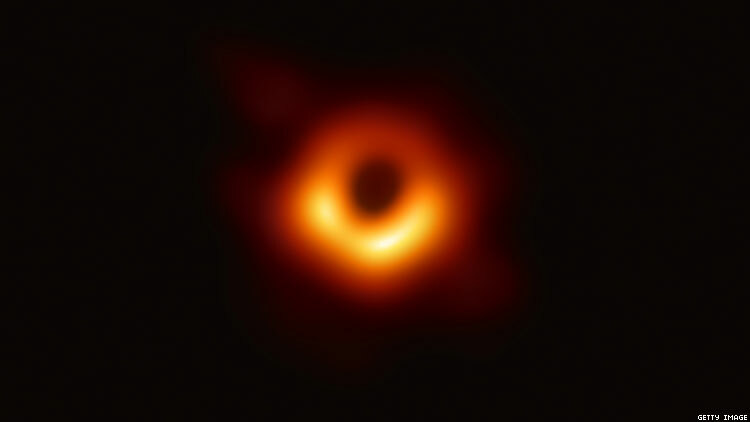 Event Horizon Telescope project scientists spent two years performing computer analysis to render the image collected from 10 days of observation by the array in April 2017, according to the Times. Their efforts resulted in 4 petabytes of information, which equates to 4,000 terabytes, or 4,000,000 gigabytes. I’m almost certain no one checked, but that might make Messier’s hole pic the highest resolution in the universe. You go M87; fellow Virgo, posing only for the highest of tech. Apparently, Messier’s hole is much bigger than holes observed in astronomy’s past, such as one previously observed by scientists in the center of the Milky Way, according to the Times. The fact that Messier’s hole is so big has made it easier for EHT to capture its image than the elusive Milky Way hole — something the EHT crew hopes to accomplish in the future. Scientists say this won’t be the last we see of the monster in Virgo. “The plan is to carry out these observations indefinitely and see how things change,” Dr. Doeleman told the Times. Until then, back to your mere mortal hole pics.